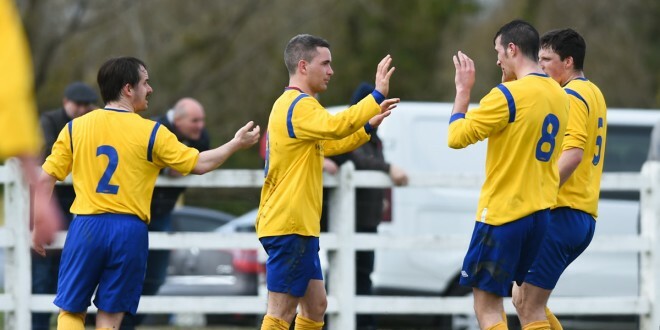 Eoin Hayes of Clare is congratulated by team mates following his first half goal against Donegal during their Oscar Traynor semi-final in Doora. Photograph by John Kelly. Enjoying a 2-1 advantage at the interval, the decisive moment came about 23 minutes into the second-half when Clare were awarded a crucial penalty. While Donegal battled hard until the final whistle and managed to create a few goal chances, none of them were very clearcut and they couldn’t have any real complaints about the result. Clare got off to a dream start when Stephen Kelly scored a superb goal after four minutes. 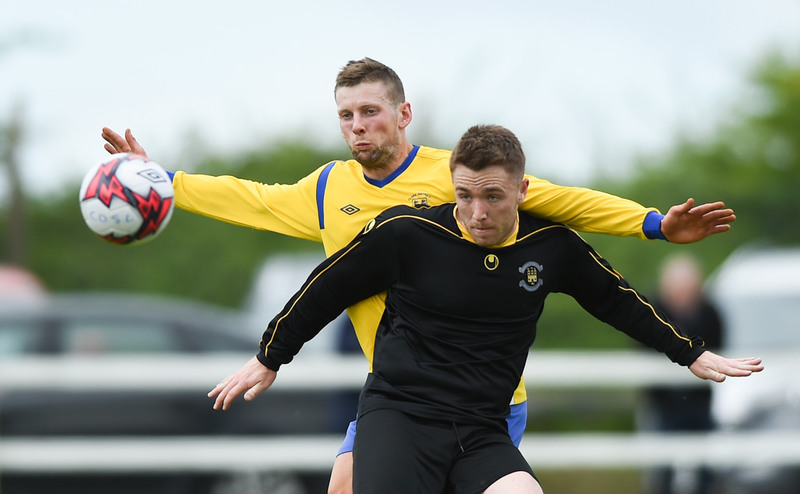 The Newmarket Celtic midfielder trapped a long delivery with his left, beat two defenders before he shot with his so-called weaker right foot from over 25 metres, which Joe Coll couldn’t hold and spilled the ball into the net. While Donie Garrihy’s men were winning more possession, Donegal bounced back in the 13th minute with an opportunist goal from Brian Crossan. Five minutes before half-time, Eoin Hayes put Clare 2-1 ahead. A long delivery from Stephen Kelly split the Donegal defence allowing Eoin Hayes to slip in behind a defender and slot the ball past the advancing Joe Coll. Dominant in the air, particularly at the back, Clare dominated periods of the first half and could have been further in front at half-time. CLARE: Barry Ryan, Darryl Eade, Eoin O’Brien, Paddy Purcell, Darren Murphy, Darragh Corry, Colin Smyth, Stephen Kelly, Eoin Hayes, David McCarthy, Eoin Whelan. Subs: Joe Collins, 50 min for Colin Smyth, Brian Monaghan 55 mins for Darren Murphy, Mark Roche, 96 mins for Eoin Whelan injured.